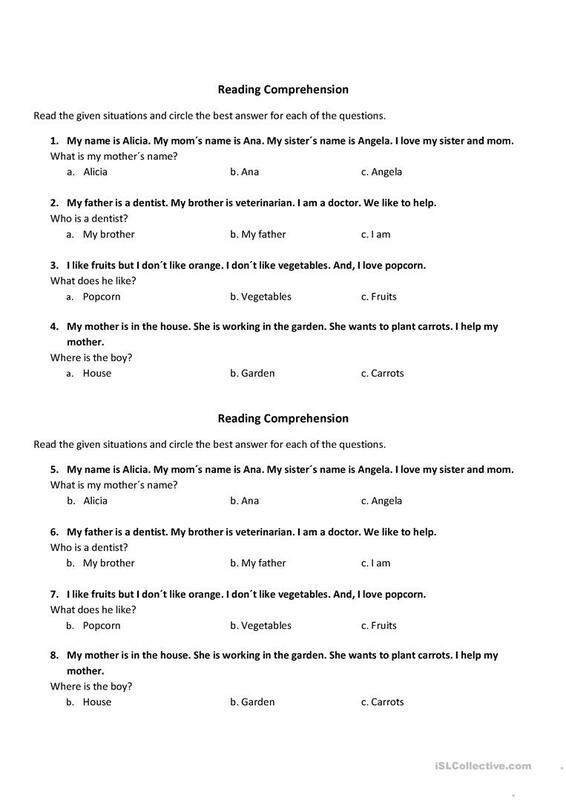 It is a short document to develop reading comprehension skills in first or second graders. Also teacher can guide little conversations about the given excerpts to disccuss meaning, activites, etc. This downloadable worksheet is recommended for elementary school students at Beginner (pre-A1) and Elementary (A1) level. It is great for practising Present simple tense in English, and is a valuable material for working on your pupils' Speaking and Reading skills. It is focused on the vocabulary topic of People. ktrin23 is from/lives in Costa Rica and has been a member of iSLCollective since 2011-11-02 06:03:39. ktrin23 last logged in on 2017-10-23 05:53:58, and has shared 6 resources on iSLCollective so far.